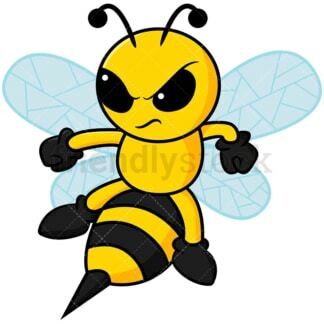 Royalty-free stock illustration of an irritated bee cartoon character with her stinger in attack position. 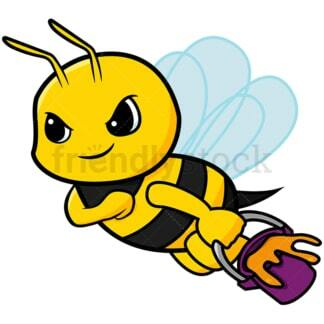 Royalty-free stock illustration of an adorable giddy bee cartoon character flying forward while carrying a bucket full of honey. 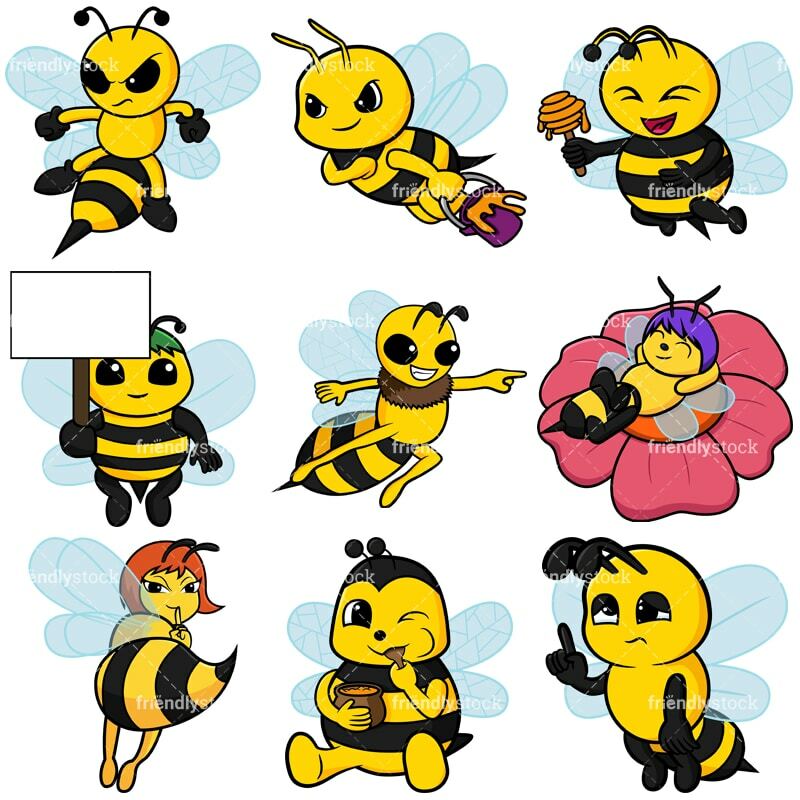 Royalty-free stock illustration of a bee cartoon character with cute antennas laughing as she holds a honey dipper. Royalty-free stock illustration of an adorable bee cartoon character holding a blank billboard sign. 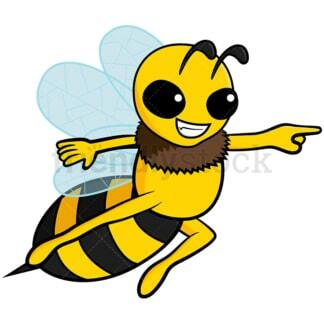 Royalty-free stock illustration of a cute bee cartoon character pointing sideways. Royalty-free stock illustration of an adorable bee cartoon character resting on a flower petal after a day’s hard work. 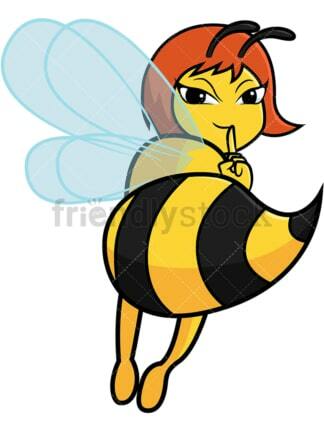 Royalty-free stock illustration of a cute bee cartoon character flying forward and showing off her stinger while making a “keep quiet” gesture with her hand. Royalty-free stock illustration of a cute bee cartoon character sitting on the ground and winking while she eats honey from a small pot. Royalty-free stock illustration of a giddy bee cartoon character trying very hard to keep her eyes open and say something.